Looking for a new or used Ford? 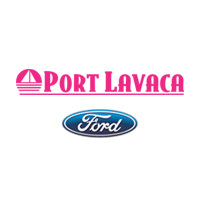 Port Lavaca Ford has it all! We pride ourselves on keeping a large and current inventory. Check out the Mustang, Escape, Explorer, F-150, and the Focus. You can’t go wrong with a Ford. You don’t have to take our word for it. Schedule a test drive and take out any car that peaks your interest. We stock a large inventory of the F-150, F-250, and F-350. We offer trade in and finance options so you can feel confident and comfortable with your purchase. Stop by and see what we can do for you or calculate your payments online using our payment calculator. We are conveniently located at 1801 Highway 35 South, Port Lavaca, TX 77979 and we look forward to seeing you!